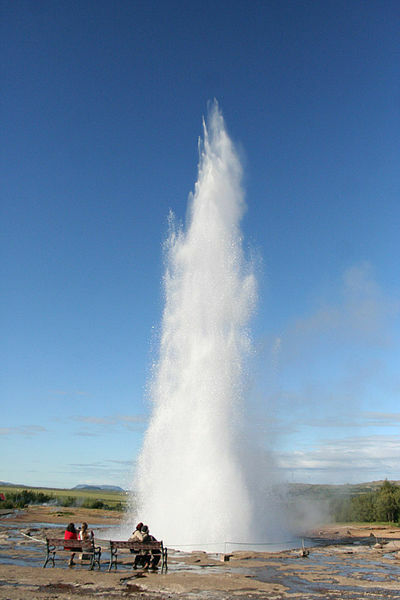 The word geyser comes from Geysir – the name of the first described geyser known to European scientists and explorers. He discovered that geyser activity was caused by heating of underground water at a particular point, while the rest of the water remains colder. Geysir is thought to have been active for about 10,000 years, and is still active, although it’s not always predictable. Until the 1990s, eruptions were sometimes induced with soap so that the geyser could go off on command for special occasions, but that practice was abandoned out of environmental concerns. 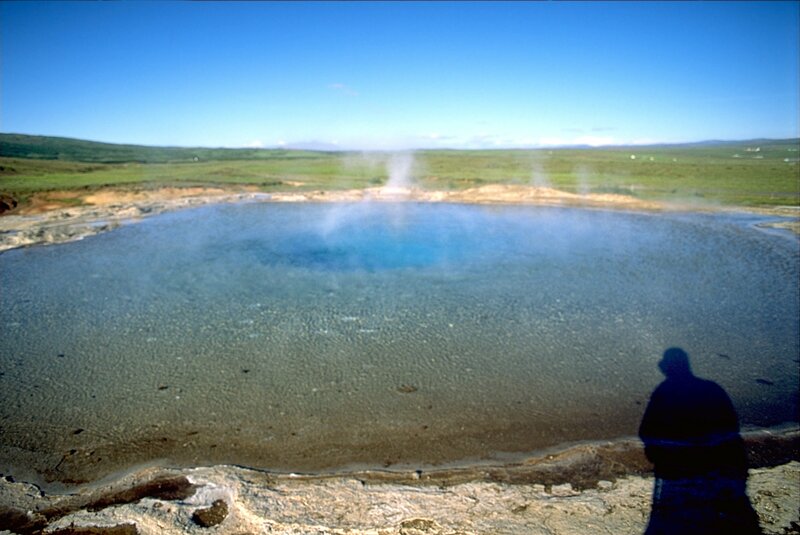 This entry was posted in Have Science Will Travel and tagged geyser, Geysir, Iceland, Robert Bunsen. Bookmark the permalink.